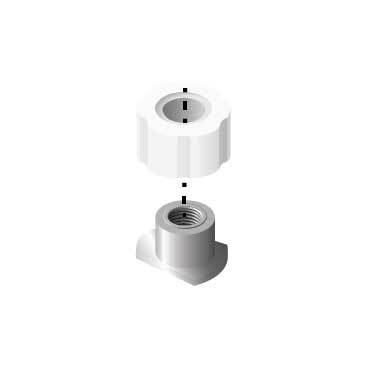 The extremely versatile Corian® Squirrel® Fixing is a device that allows fabricators to bolt directly into the solid surface, easily and efficiently. 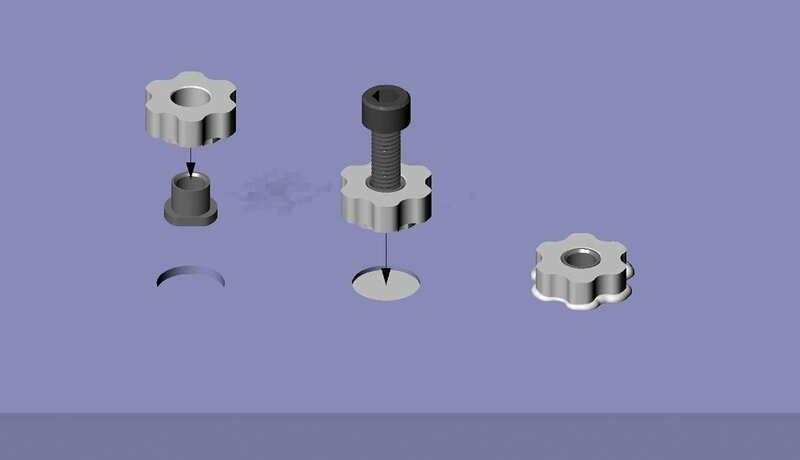 Squirrel® Fixings have been developed to allow fabricators to make a mechanical screw fixing into a 12mm sheet of Corian®. Made from recycled Corian®. Unless specified, all Squirrel® Fixings are supplied in Glacier White. Available in other colours. Contact us for more details. The insert is recessed to a maximum of 8mm into the back of the sheet to prevent it from being visible through the face side. Please note that the inserts will be visible through translucent colours. Note: M4 and M6 Squirrels are now 14mm diameter. Semi-recessed Squirrel® Fixings have been developed to allow fabricators to make a mechanical screw fixing onto a 6mm sheet of Corian®. Made from recycled Corian®. Unless specified, all Squirrel® Fixings are supplied in Glacier White. Available in other colours. Contact us for more details. The insert is recessed to a maximum of 2mm into the back of the sheet to prevent it from being visible through the face side. Please note that the inserts will be visible through translucent colours. Note: M4 and M6 Squirrels are now 14mm diameter.